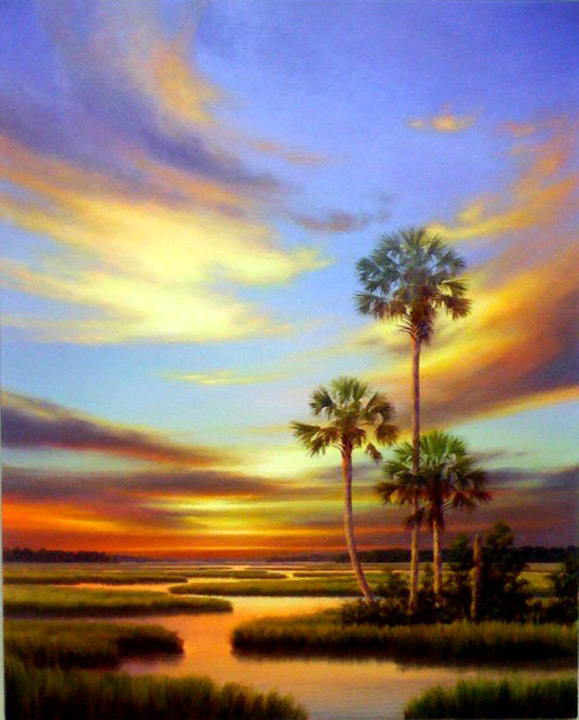 It is not completely uncommon for two artist to collaborate on one work of art, but for Florida Landscape artist Peter Pettegrew, it was a first. The idea came from Henry Von Genk, after he overheard a collector mention that he would love to see a painting where Peter did the sky and Henry did the landscape. 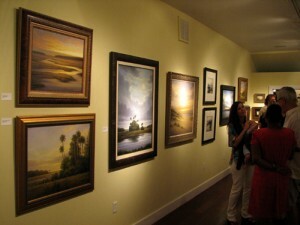 It was during a showing at Fredlund Gallery in Winter Park, Florida and when the two artist were paired up for a two-man show the following year, Henry recalled the idea and presented it to Peter. Stellers Gallery of Ponta Vedra recently hosted a two-man showing of Florida artists Peter Pettegrew and Henry Von Genk. Of the many extraordinary works on view were a pair of collaboration paintings created between these two long time friends. The event was well attended with live music and festivities. You are currently browsing the Peter Pettegrew blog archives for August, 2011.